The Woman’s Christian Temperance Union (WCTU), under the leadership of President Frances Willard, formally endorsed women’s suffrage in 1881. Willard and other leaders recognized that the women’s ballot was an essential tool to achieving the organization’s goals, and proclaimed this to the 1881 National Convention. The Franchise Department was formed in 1881 at the National Convention at the urging of Frances Willard. Over the next year, J. Ellen Foster, Mary Leavitt, and Mary A. Livermore assessed the attitudes towards women’s suffrage among the state-level WCTUs. They found that women in the Midwest and West were generally supportive of suffrage, while women in the Northeast and South were lukewarm at best, or firmly opposed to women’s suffrage. WCTU members were generally conservative, and in order to persuade them that women’s suffrage was a necessary tool towards achieving the organization’s goals for social reform, Willard framed women’s suffrage as part of the campaign for “Home Protection.” She spoke of the need for women to protect themselves and their children from the evils of the world, and believe that women’s suffrage was an essential tool for the protection of the home and family. This kind of rhetoric soothed conservative women; rather than breaking radically out of “woman’s sphere” by demanding space in politics, they were working to defend woman’s traditional domain of home and family. Indeed, the idea of the ballot for home protection persuaded some WCTU women that suffrage was indeed a worthy cause. 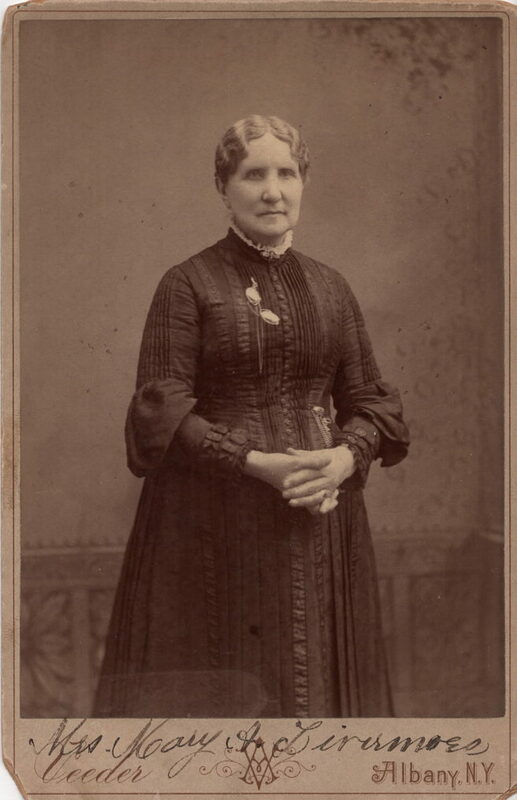 Willard was fully in support of women voting, but she did not endorse universal suffrage. Rather, she asked repeatedly in the 1880s for suffrage to be contingent on an educational test, applied to all voters, including women. Though her language in her annual address to the convention did not explicitly exclude African American or immigrant women from the ballot, an educational test of the type she described would have had a disproportionate effect on those groups, restricting their right to vote. The WCTU was not hesitant to cooperate with other women’s suffrage organizations. Willard had a close friendship with Susan B. Anthony, and Anthony asked Willard to mobilize the WCTU in South Dakota in support of the suffrage referendum on the 1890 ballot. Unfortunately, that referendum was unsuccessful, but the WCTU did not stop collaborating with other women’s suffrage organizations. Indeed, in many states, the WCTU was a training ground for women to gain leadership experience which translated into their work with suffrage organizations like the National American Women’s Suffrage Association (NAWSA). During the 1890 South Dakota campaign, Alice Pickler and Irene G. Adams, two devoted suffrage workers, were also active and engaged members of the WCTU. Adams later became the head of the South Dakota WCTU Franchise Department. Sometimes, however, the WCTU’s suffrage work was unappreciated by other women’s suffrage organizations. In 1899, Carrie Chapman Catt, president of NAWSA, wrote to the WCTU’s annual convention, asking them to refrain from formal suffrage work. She wrote that the WCTU’s involvement had been “seriously injurious” to NAWSA’s work, because the WCTU’s advocacy for women’s suffrage was seen by men as “a strategic move to secure prohibition through women voters.” This, she wrote, was damaging the cause, because potentially supportive men were disinclined to support women’s suffrage if it meant prohibition. The WCTU responded to Catt’s letter by resoundingly reaffirming their commitment to suffrage work and to prohibition, in direct defiance of Catt’s request that they step back. The WCTU’s suffrage work only increased in the 1890s and early 1900s, working primarily for suffrage on a municipal and state level. By 1908, 37 of the 46 states with active WCTUs had Franchise Departments, and states without departments were concentrated in the South. Lillian Stevens, elected president after the death of Frances Willard in 1898, continued to use the language of “home protection” to encourage WCTU members to work for the ballot. Stevens and Franchise Department Superintendent Mecca Marie Varney went out of their way in 1909 to separate their efforts from those of the British suffragettes. They condemned the violent, destructive tactics that suffragettes in Great Britain used, and called for “the best American brains” to work on suffrage as an “American” problem. 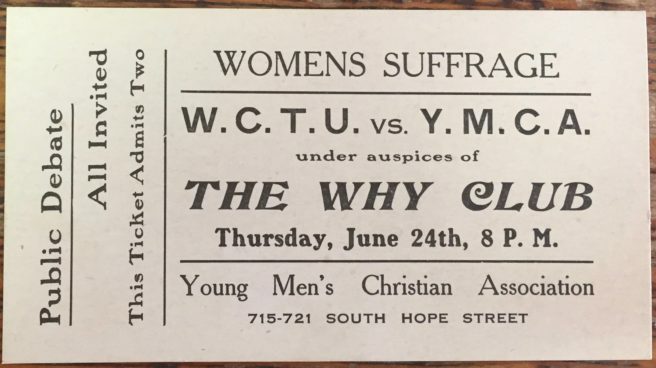 Suffrage work took many different forms for the WCTU. Drawing on their toolbox of lobbying techniques, WCTU members across the country collected signatures on petitions, circulated literature, hosted nationally renowned speakers, wrote and produced “suffrage plays,” and hosted debates between the WCTU and other community organizations on the theme of women’s suffrage. Though they were committed to gaining women’s right to vote, suffrage was always intimately tied to prohibition. Indeed, celebration of women gaining the vote in a particular state was often followed by the president exhorting these newly enfranchised women to be sure to vote for Prohibition. In 1914, Anna Gordon was elected President of the WCTU, and she led the organization through some of its most important years—the ratification of Prohibition, the 18th Amendment, and the ratification of the 19th Amendment, granting women the right to vote. Prohibition occupied much of the WCTU’S attention in the years between 1914 and 1917, and the amendment was ratified in 1919. However, they did not lose sight of the fight for the vote. In 1917, the WCTU, like other women’s suffrage organizations, turned their attention from state-by-state campaigns to a national amendment. They were instrumental particularly in the fight for ratification. After the 19th Amendment passed the House and the Senate in 1919, it was sent to the states, and here, their grassroots connections and local unions came to the fore. The Union Signal, the official newspaper of the WCTU, kept a close eye on ratification efforts. 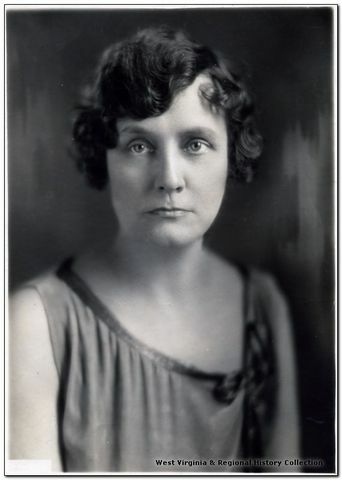 It also highlighted women like Lenna Lowe Yost. Yost, former president of the West Virginia WCTU, had also been head of the West Virginia state chapter of the Equal Suffrage Association. She was appointed the leader of NAWSA’s Ratification Committee in West Virginia, and her personal connections with and effective lobbying of lawmakers helped to cement ratification of the amendment in West Virginia. 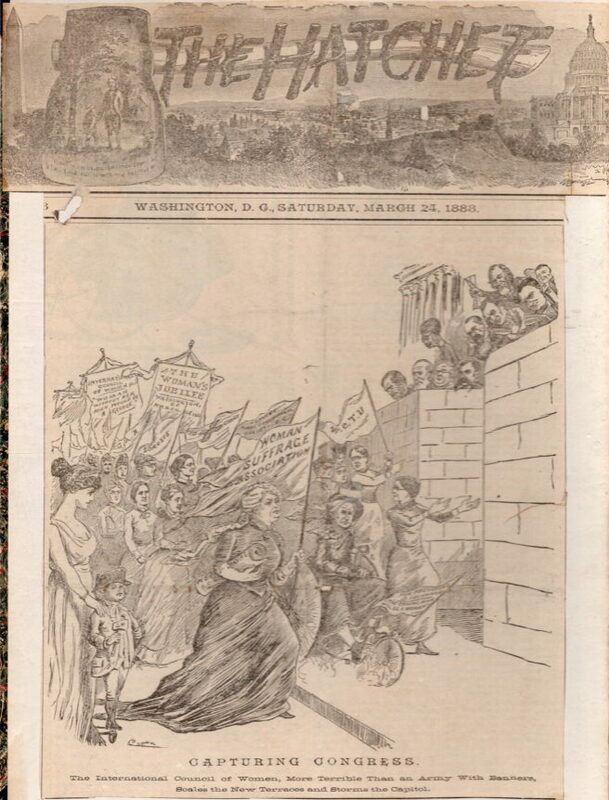 Once the vote was won, the WCTU proclaimed that it was woman’s duty to go to the polls! The department of Christian Citizenship replaced the Suffrage Department (previously the Franchise Department). They organization focused on providing civic education to women, to help them be intelligent and informed voters who used the Golden Rule to make political choices. Without the WCTU’s involvement in the fight for women’s suffrage, ratification of the 19th Amendment would have been a much harder fight. WCTU National Convention Minutes, 1882, 33. Frances Willard Memorial Library, Evanston, IL. Cited afterward as Convention Minutes. Unless noted, all sources are at the Frances Willard Memorial Library in Evanston, IL. Letter from Susan B. Anthony to Frances Willard, March 21, 1890. Cecelia M. Wittmeyer, “The 1889-1890 Women Suffrage Campaign: A Need to Organize.” South Dakota History 11:3 (1982), 208. Letter from Carrie Chapman Catt to the Officers of the WCTU, May 20, 1899.